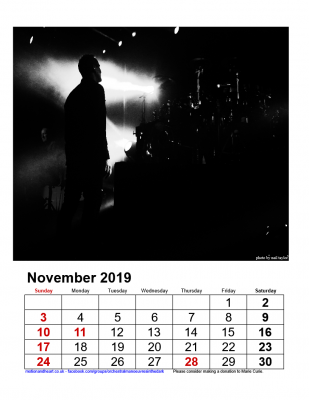 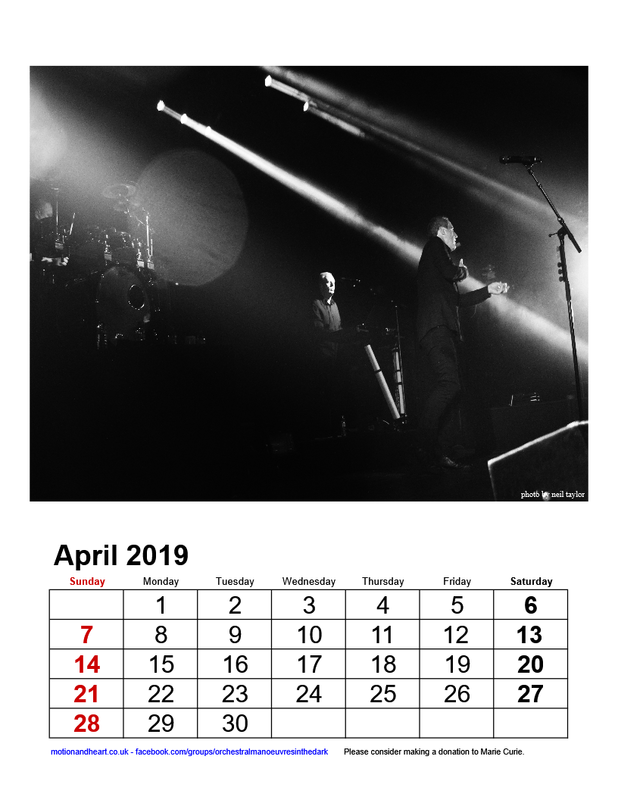 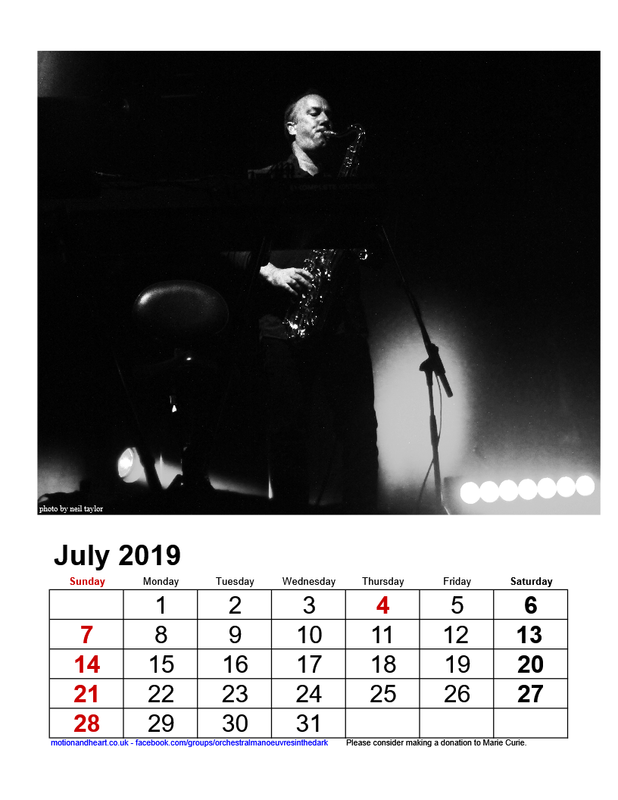 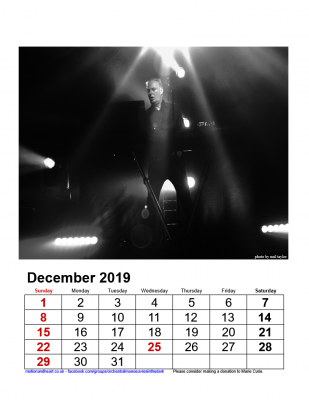 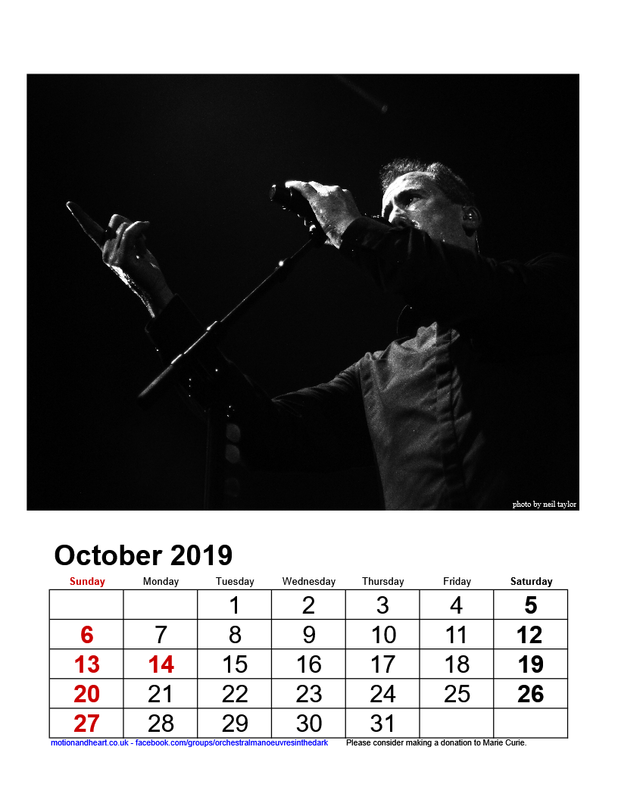 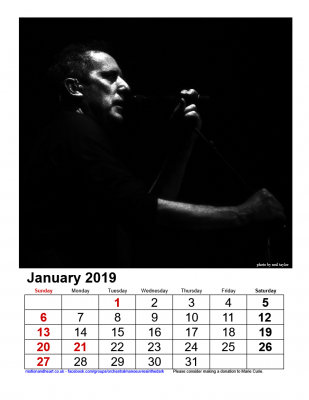 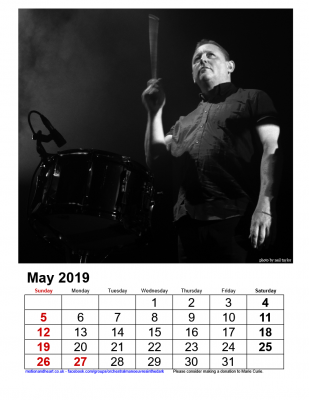 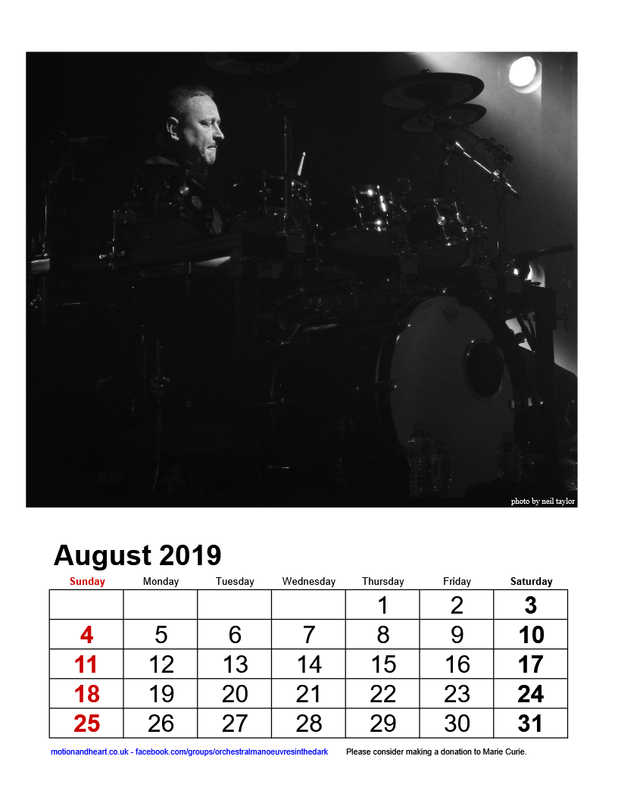 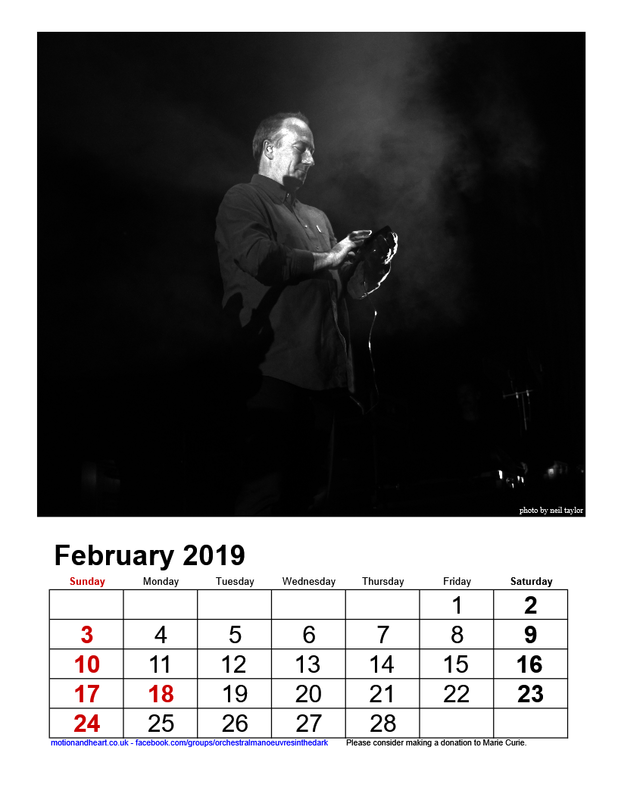 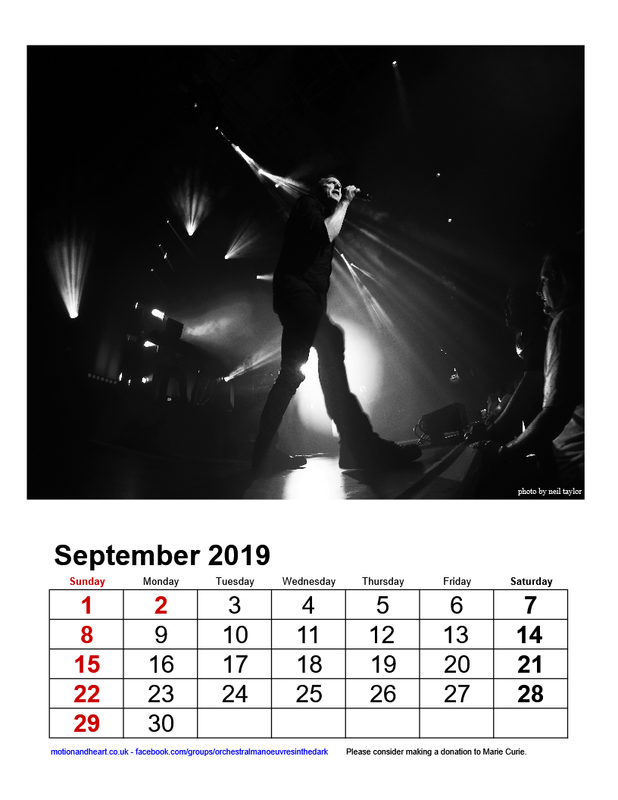 Here is a 2019 OMD (unofficial)Calendar that you can download as a .pdf and print your self. 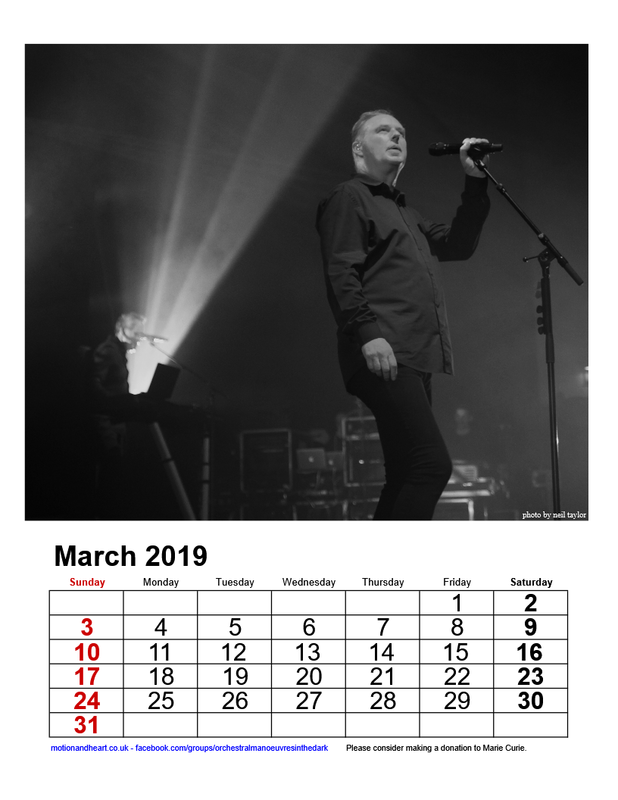 The photos taken by Neil Taylor are from The Punishment of Luxury Tour and taken at Sheffield/Manchester. This is yours for FREE. But if you can please would you consider making a donation no matter how small to Marie Curie a charity that offers care and support through terminal illness. 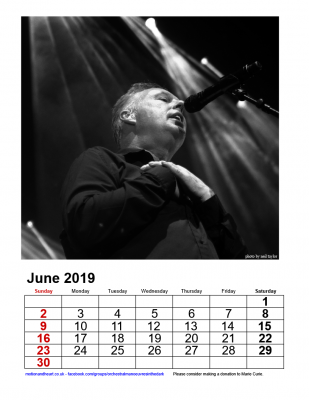 To Download this please click on the attachment link.